Mama Love: Girl Scout Cookies! 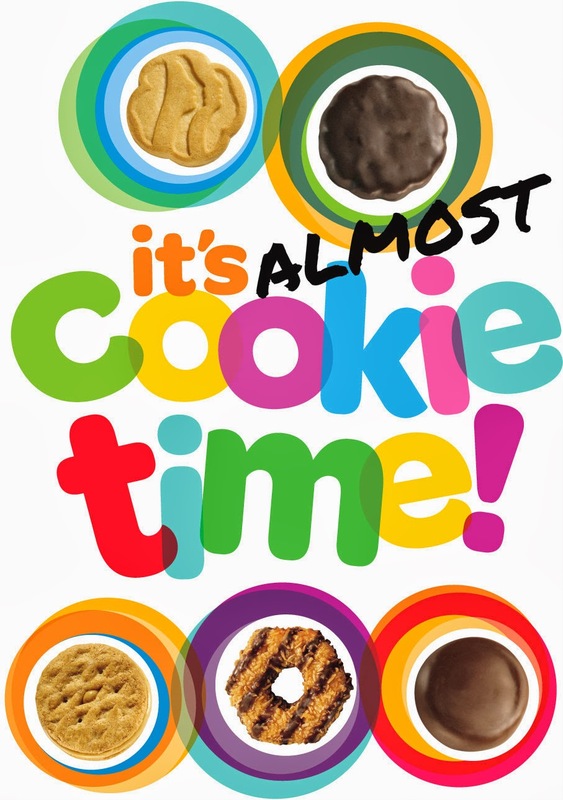 My oldest daughter, who is 6, joined Girl Scouts this year, and our cookies selling season is about to Kickoff in just 6 short days!!! She is SOOO excited to sell cookies and has been practicing her "sales pitch" to all of us for over a week now! With this being our 1st year in Girl Scouts and us living far away from Family I'm a little nervous on how to go about selling the most cookies that we can possibly do! She has set a personal goal of 150 boxes for herself to sell (her first goal was 2500+ boxes!) and I just hope we meet or exceed that goal! Back way back when I was in Girl Scouts I was the top cookie seller for 2 years in a row, but rules have changed I lived close to family and in a good community where I was probably the only one selling them, so it's totally different this time we live in a much larger town with a million little girl scouts running around and we personally only know a few people here. So with that being Said anyone have any good tips on how to hustle our cookies and help my little daisy meet her goal? !